The Boy Scouts of America is a great organization for youth to learn leadership, outdoor skills, & community involvement. 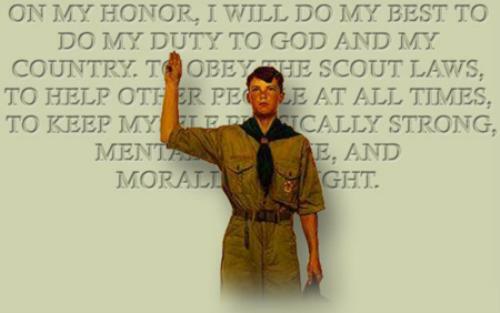 If any boy is interested in the opportunities afforded by Scouting please contact us or attend a troop meeting for more information. If you're a boy age 11, or at least 10 and have completed the fifth grade, or have earned the Cub Scout Arrow of Light Award, to 17 years old, the time for a real adventure is now. Troop 11 has participated in long term camping and high adventure including Camp Wilderness , Park Rapids, MN, Bear Tooth, Medicine Mt.,Charles L. Sommers High Adventure Canoe Base, Buffalo Bill Camp. Other events include BSA report to the Governor, Scout Expo's, Klondike Derbies, Council and District Camporals and Camporees. The Troop has an average of 28 nights of camping per year and over the last 23 years with a total of approximately 655 total nights. This website has been designed as a reference for our Troop Member's and leaders.